They're fast to crochet and fashionable to wear--crocheted hats! Now you can learn how to crochet basic hats with fun and flair. Join expert Rohn Strong as he teaches beginners through experienced crocheters how to crochet basic hats worked flat and then seamed, and easy in-the-round hats worked from the top down. 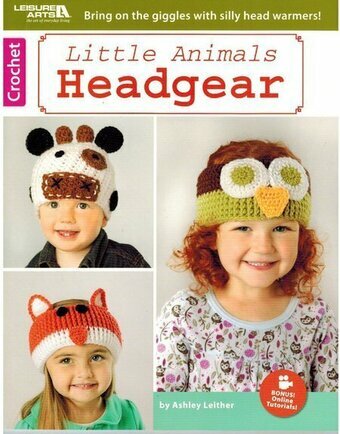 Soon you'll be crocheting adorable hats for babies and kids, and attractive hats for men and women! In this class you'll learn how to:Crochet all the basic stitches, determine how big to make any hat for a perfect fit, crochet easy hats for babies, kids, women and men, crochet a hat worked flat in rows, then seamed up the back, work a top-down hat crocheted in rounds, crochet hats with stripes, work a stretchy ribbing, add pretty, feminine edgings, embellish hats with yarn bows, pompoms, flowers and curlicues. Class includes complete instructions to make 10 easy, basic hats: Raspberry Picot Hat, In-a-Jiffy Chunky Flower Hat, Flower Fun Hat, Wishes & Kisses Preemie Hat, In-a-Jiffy Ribbed Hat, Easy Striped Boy's Hat, Striped Alma Mater Hat, Flapper Girl Hat, Make-It-Simple Slouchy with an option for a longer multi-colored slouchy. 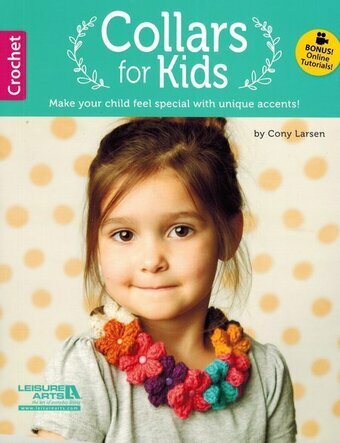 A Fun Way to Learn to Crochet for Kids by Rita Weiss and Jean Leinhauser introduces a new method of teaching young children the simple basics of crochet. For each crochet stitch or technique, an actual-size drawing is presented so that the child can place her work on the drawing to be sure that what she is doing is correct. Kid-friendly explanations and instructions accompany the illustrations. After learning the basics, children are invited to practice their new skills on five simple projects: In a Hurry Headband, Sacks for Your Stuff, Tablet or E-Reader Sack, All Stripes Scarf, and Roll-Up Holder for Your Hooks or Pencils.32 pages. Celebrity babies are big news, and all eyes are on what they're wearing. These crochet fashions let you "get the look" seen when the stars ventured out on family days. Includes a cowl, newsboy hat, poncho, hooded scarf, leg warmers, fingerless mitts, slouchy beanie, hat with flower, and blanket. 40 pages. Designs by Lisa Gentry. Vanna White, the popular TV game show co-host and America's favorite crocheter, presents 10 little amigurumi animals that will capture your heart. From the alligator to the walrus, each of the 10 creatures can rest in the palm of your hand. Just think how much fun you'll have crocheting the whole zoo, especially when you use Vanna's Choice and Vanna's Choice Baby yarns from the Lion Brand Yarn Company. Enjoy the adventure of crocheting these winsome, wild creatures. They are wonderful to keep or to share! 10 designs to crochet using medium weight yarn: elephant, hippo, monkey, giraffe, alligator, lion, seal, walrus, penguin, and snowy owl. Sizes range from 4" to 8" tall. 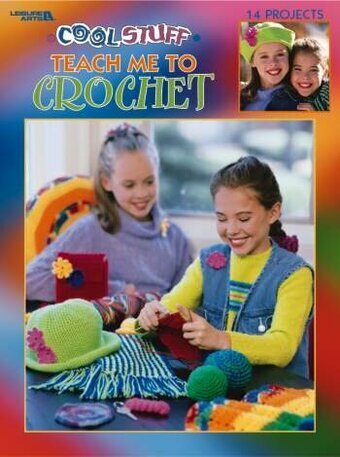 Bright colors, fun photography, and step-by-step instructions help children ages 9 to 14 learn to crochet. Kids will learn the basic crochet stitches while making hair scrunchies, a key chain, a CD holder, a round pillow, and much more! Patterns included: Loopy Hair Scrunchie, Spiral Coaster, Soft Drink Cozy, Round Pillow, Ruffled Hair Scrunchie, Curlicue Key Chain, Striped Scarf, Floppy Hat, Dog's Toy Ball, Cat's Toy Fish, Cotton Dishcloth, CD Holder, Ripple Lap Warmer.